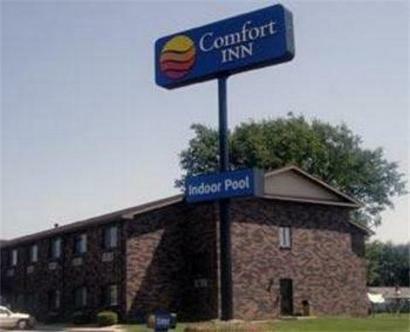 The Comfort Inn is conveniently located just five miles from the Decatur Airport. This Forsyth hotel is close to several area attractions like the Hickory Point Mall, Hickory Point Golf Course, the Decatur Civic Center, the Macon County Museum and the Children's Museum of Illinois. Area businesses such as ADM, Firestone and Caterpillar are within 15 minutes of the hotel. Guests will enjoy free deluxe continental breakfast and indoor pool with hot tub. Business travelers will appreciate modern conveniences like free wireless high-speed Internet access in all rooms, data ports and access to fax services. Be sure to ask about the Choice Hotels International Choice Privileges rewards program. Pool closed for repairs until 2/04/2008.